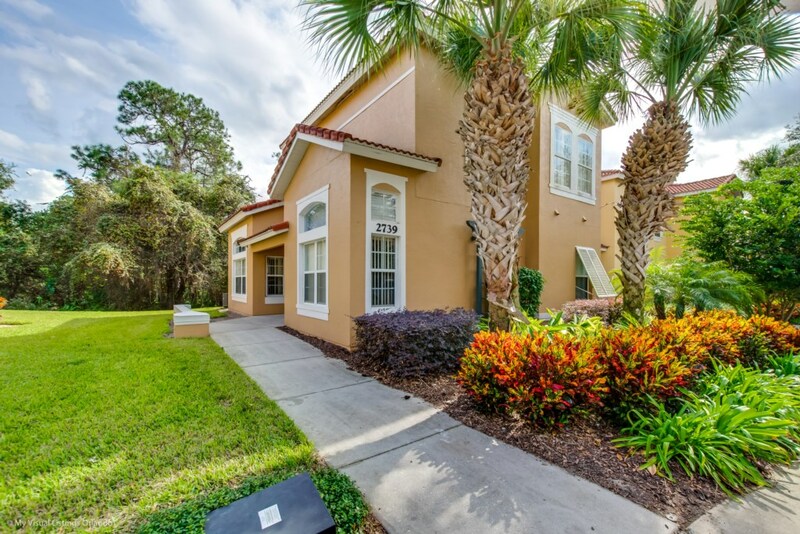 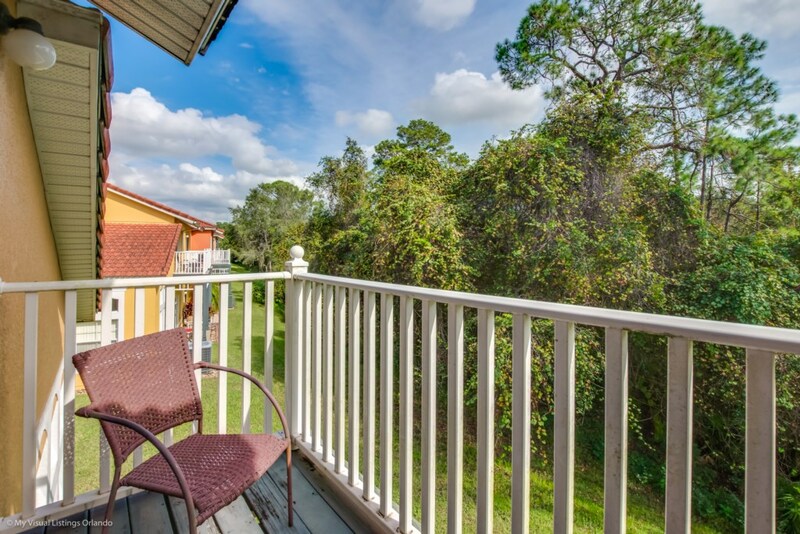 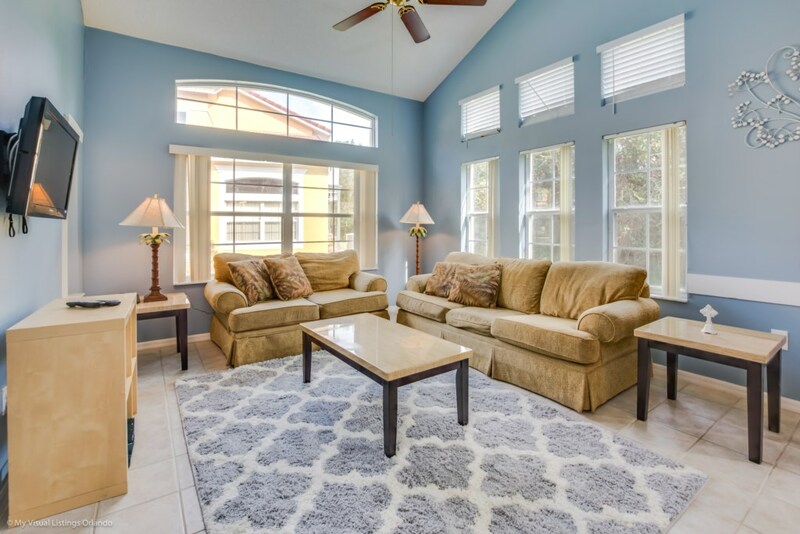 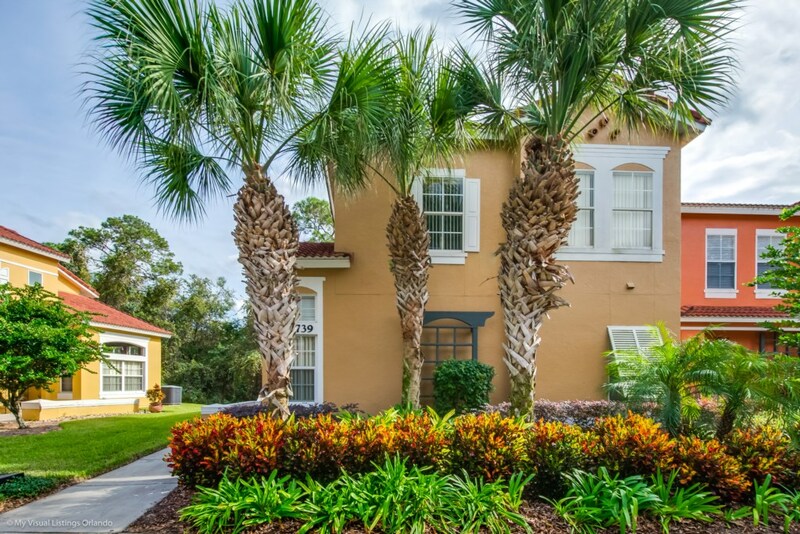 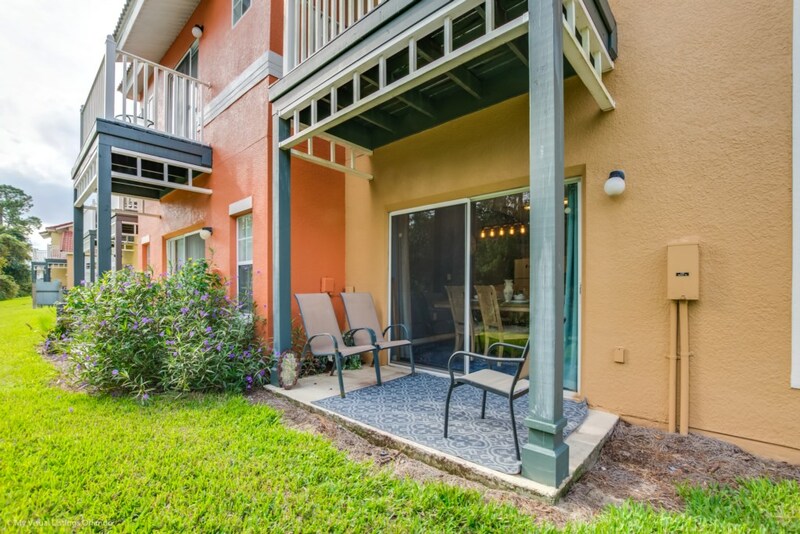 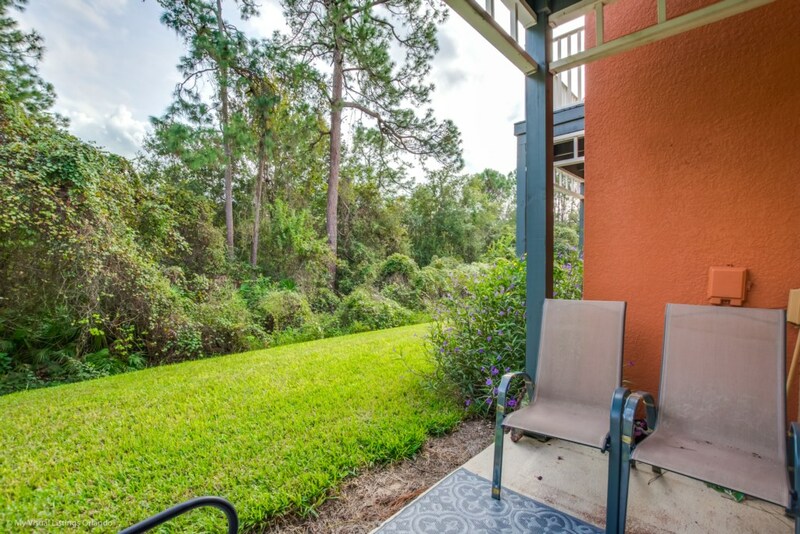 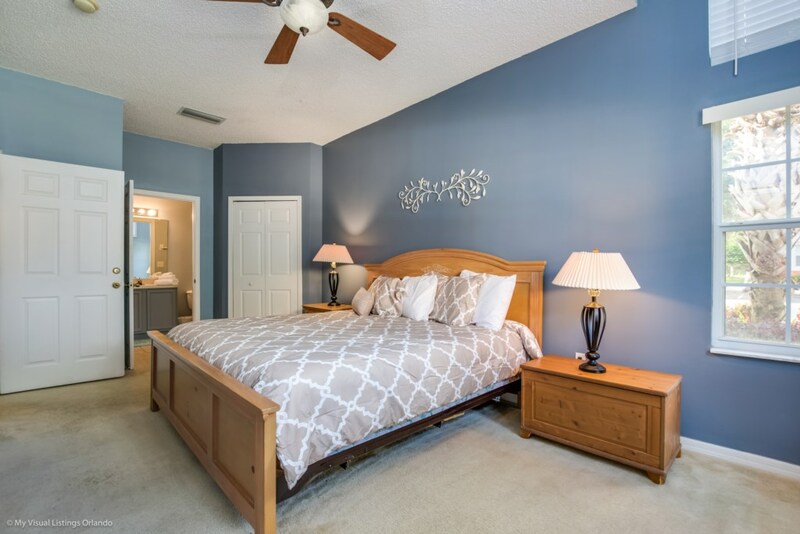 New luxury town home, just 4.3 miles from Walt Disney World’s Animal Kingdom Resort. 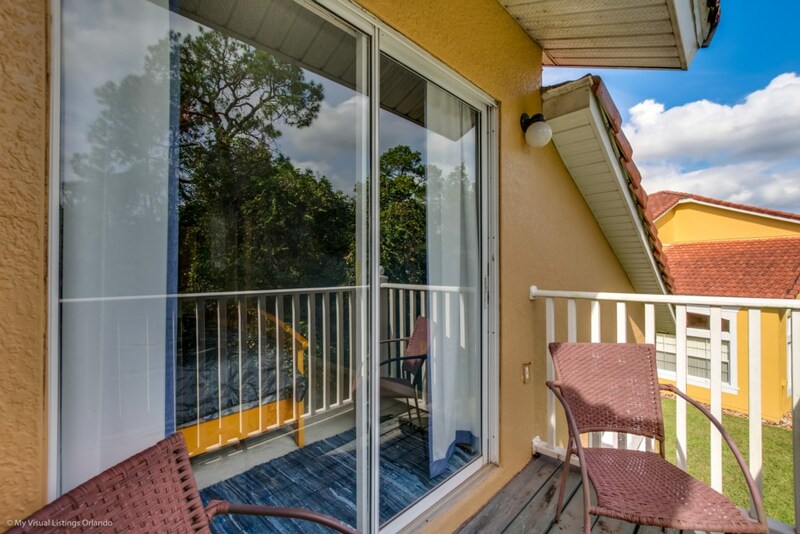 Located in the beautiful Emerald Island resort community, the townhome is within the resort’s 24-hour manned security gates, on the tranquil forested conservation space. 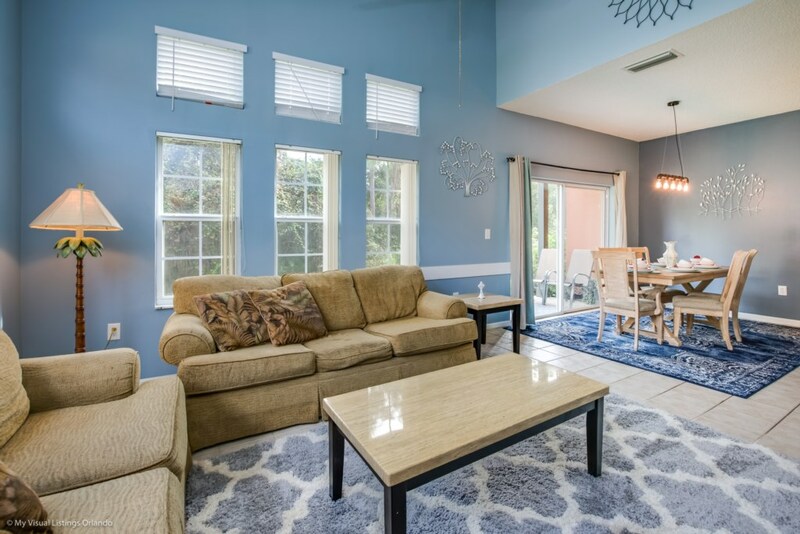 Kilimanjaro Cottage features private parking just steps from the front door and is just a two-minute walk from the resort pool, walk up bar and clubhouse. 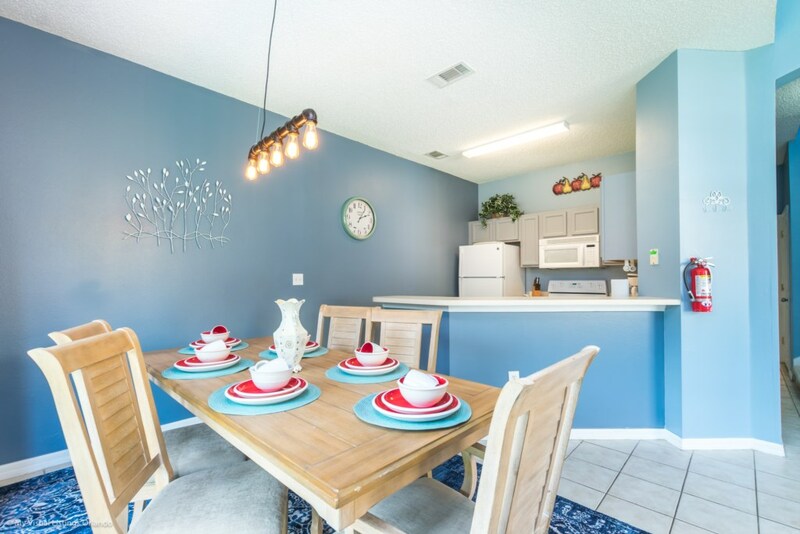 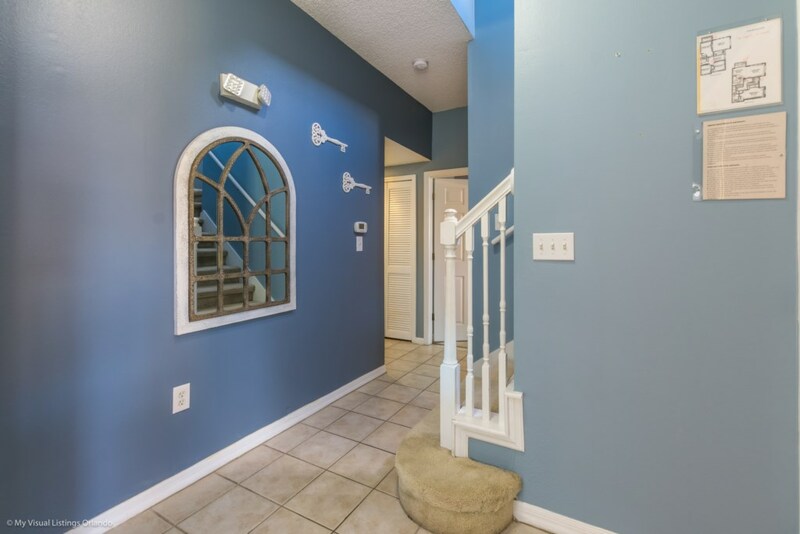 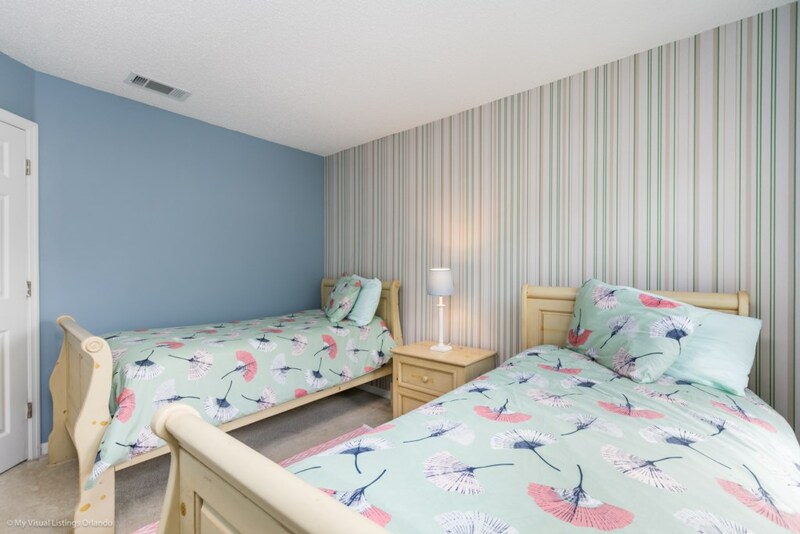 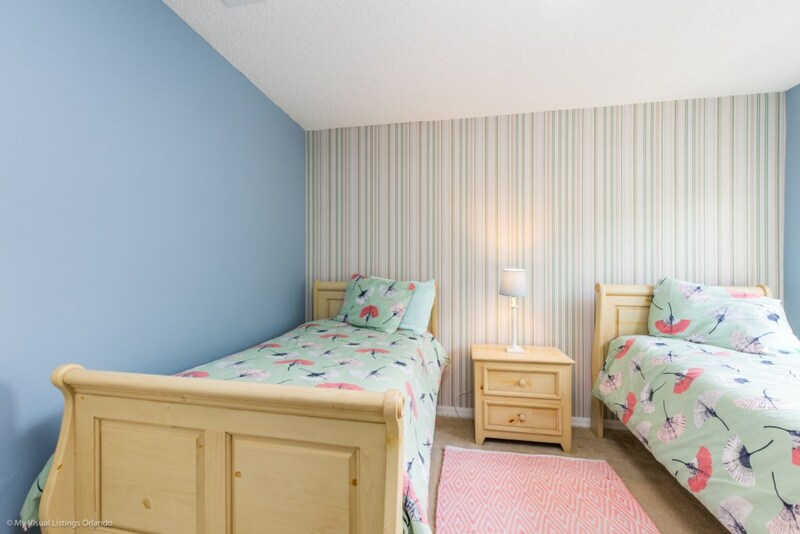 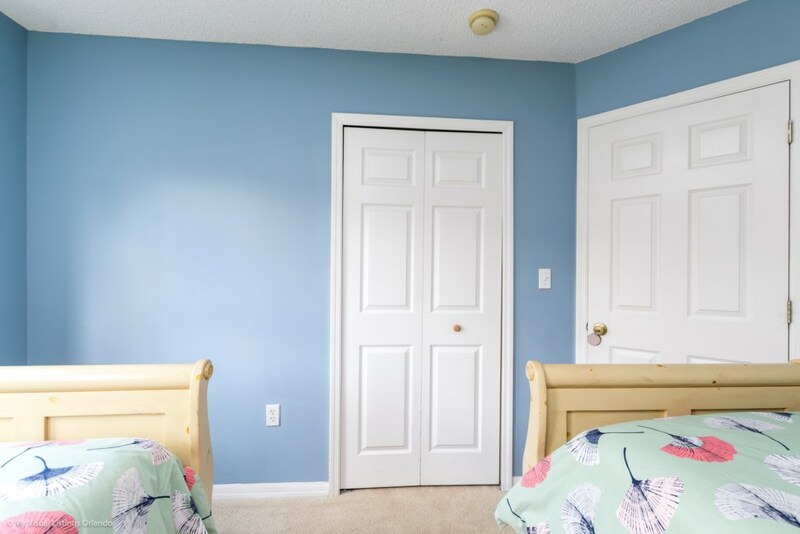 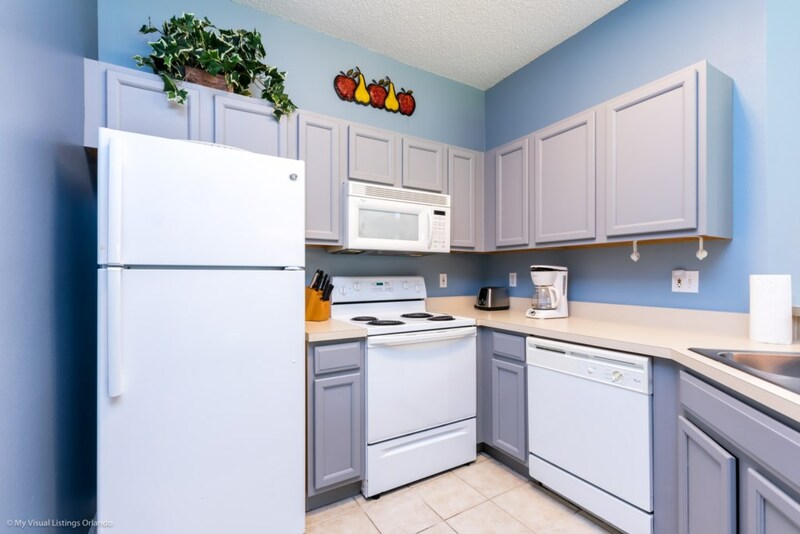 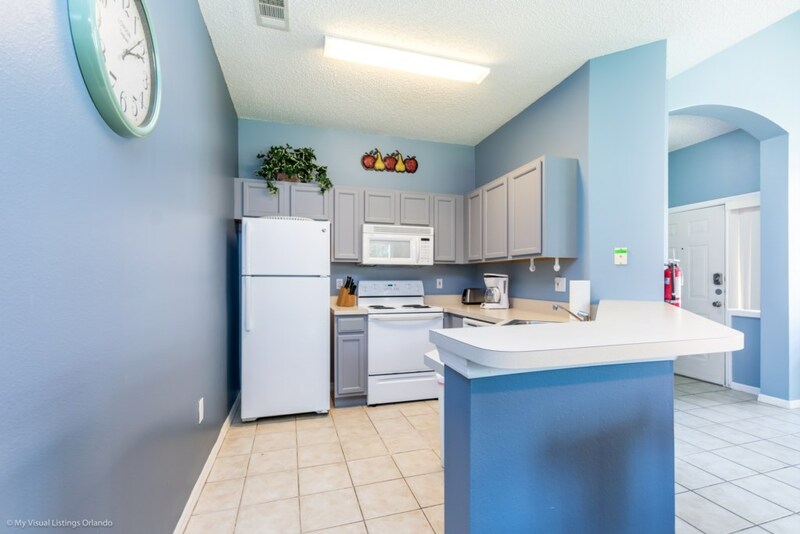 The townhome e features theme park resort theming throughout, affording far more square footage and privacy, yet at a fraction of theme park resort prices. 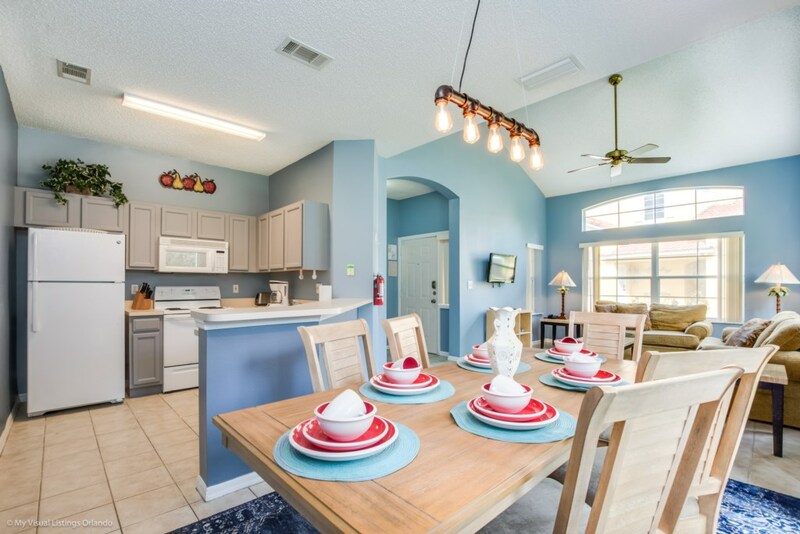 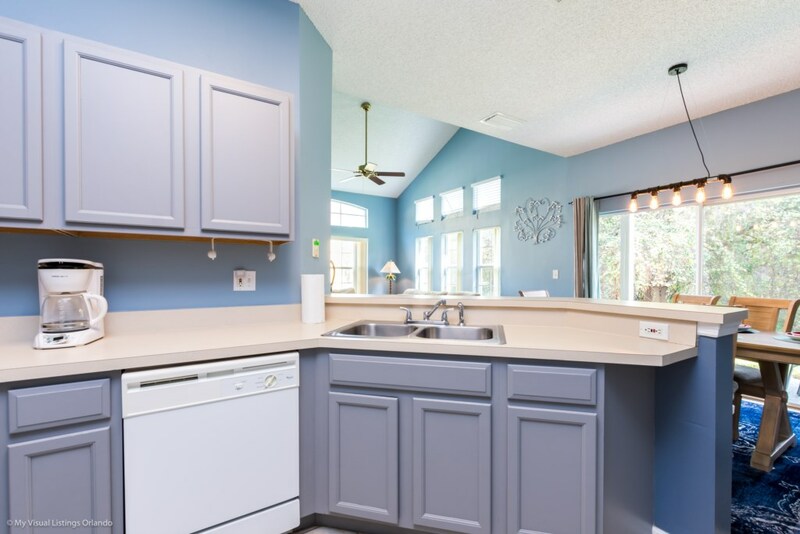 From the vibrant, safari-themed colors, to the fully-equipped kitchen, featuring granite countertops and mosaic backsplash, the townhome’s first floor is an inviting oasis for weary travelers and enthusiastic vacationers alike. 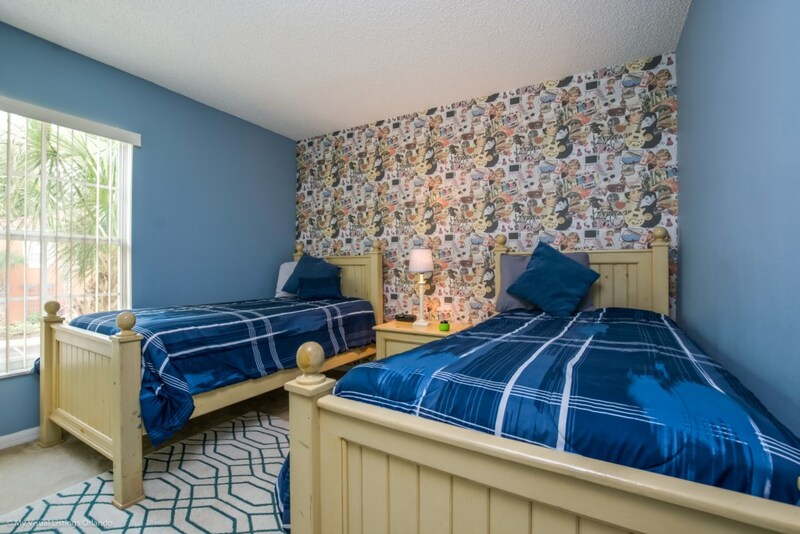 Venturing upstairs, guests will find three wonderfully appointed guestrooms, each themed for a different aspect of the safari experience. 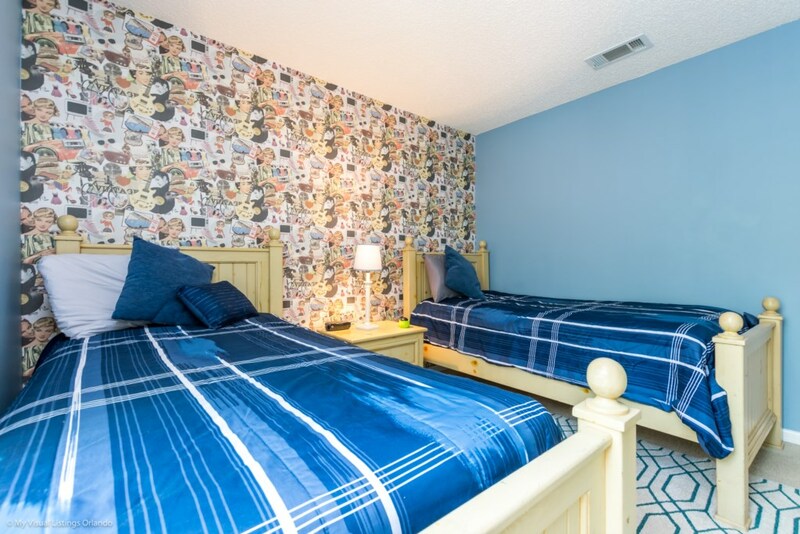 Rich, inviting, resort-grade linens await guests on every bed, and beautiful safari art adorns the walls. 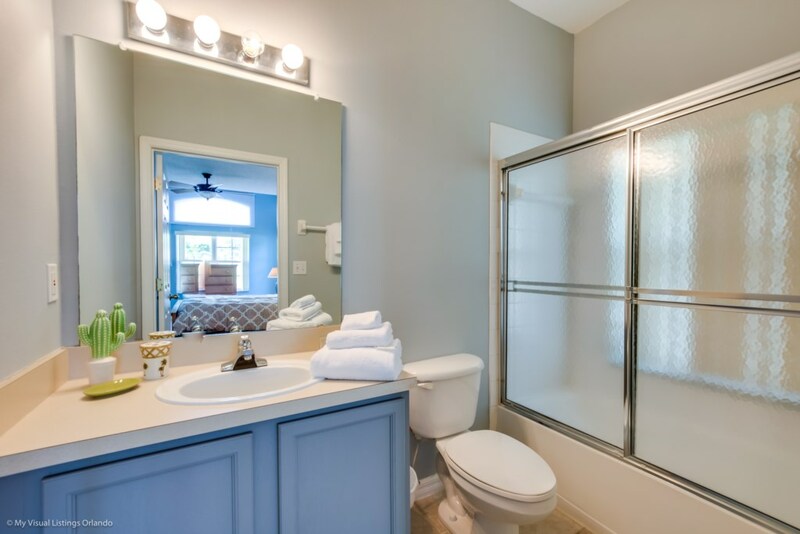 The master suite features a private en suite bath, and a secluded balcony, offering a private overlook of the conservation forest guests can savor with their morning coffee or an evening glass of wine. 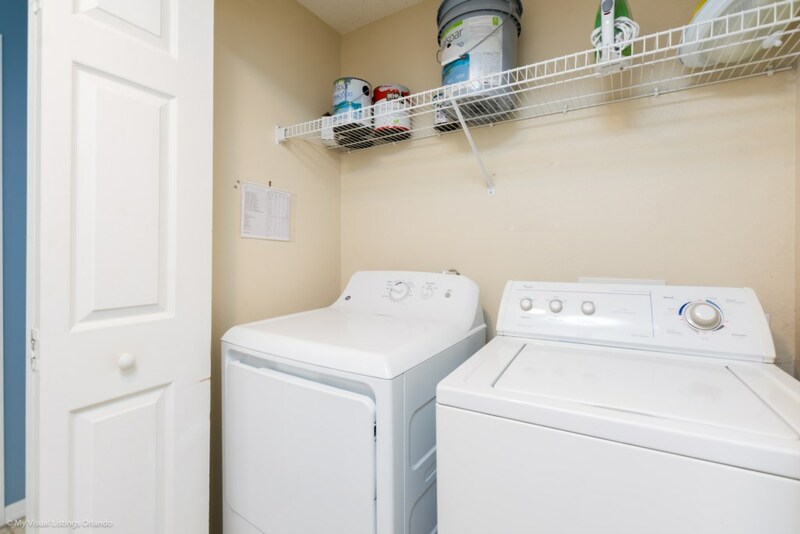 There a flat-screened televisions, high-speed internet and a private laundry room equipped with a full-sized washer and dryer. 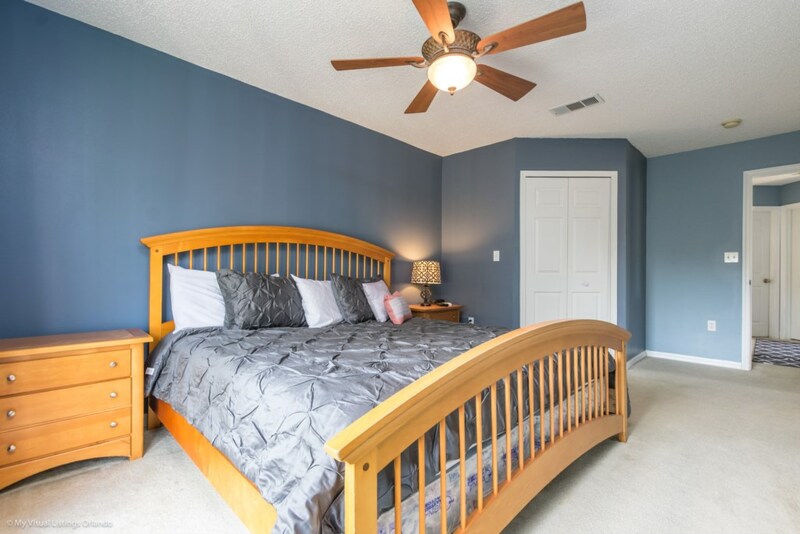 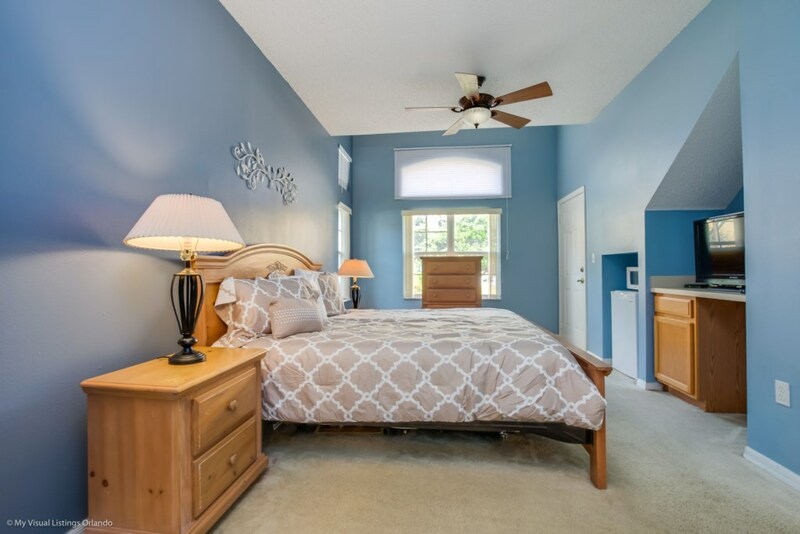 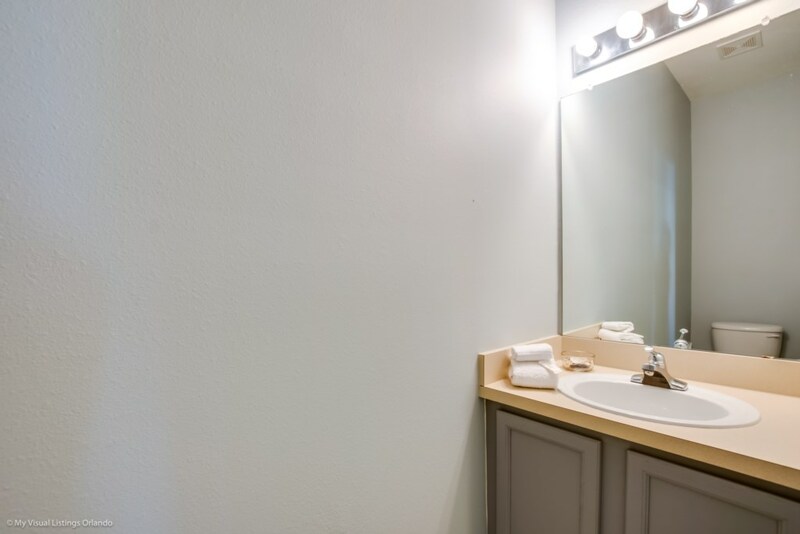 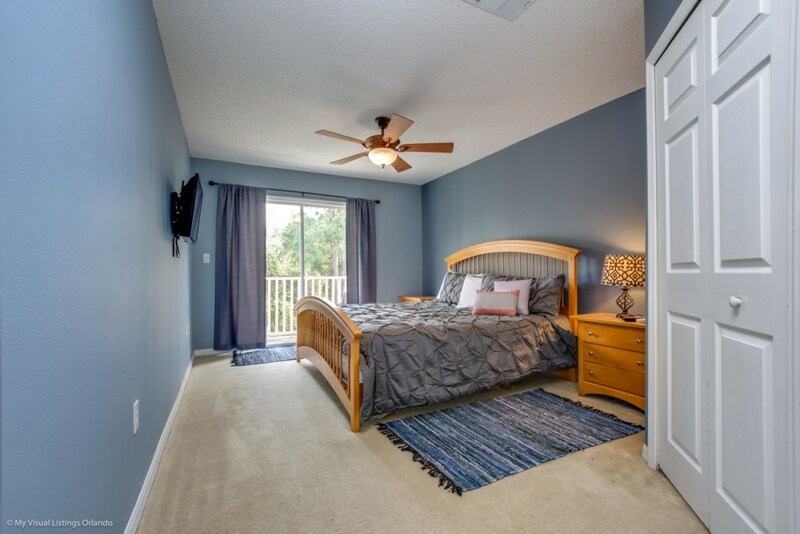 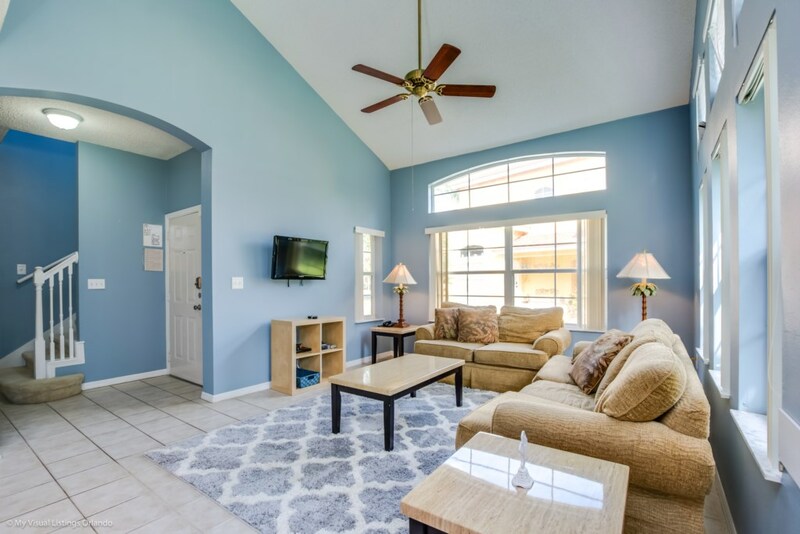 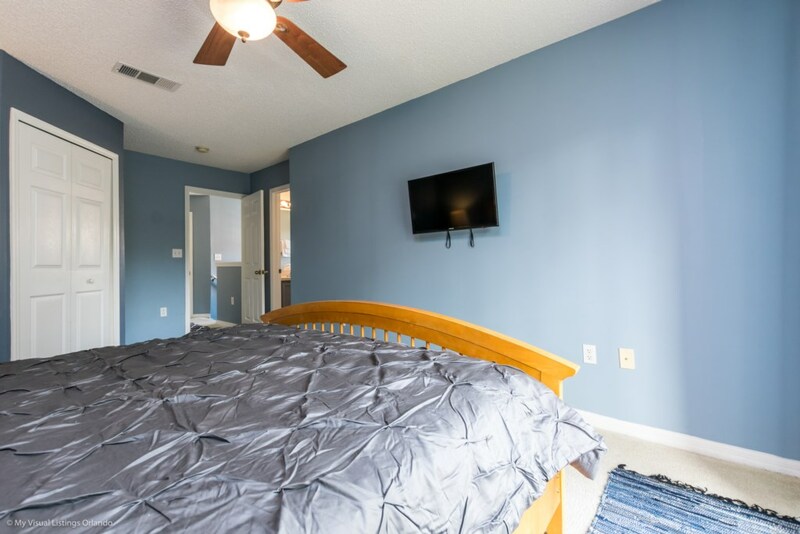 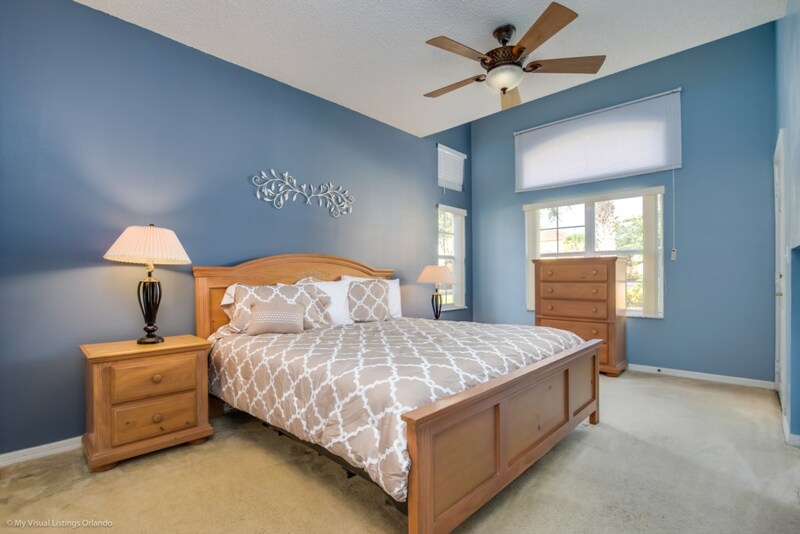 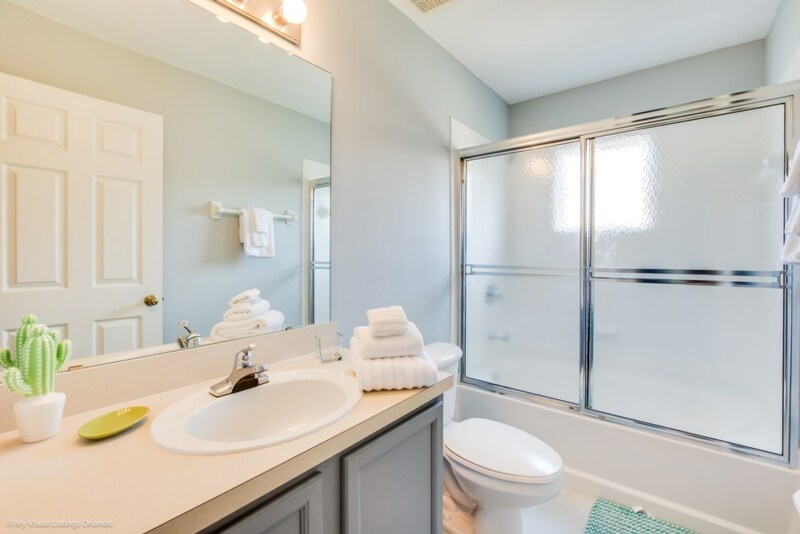 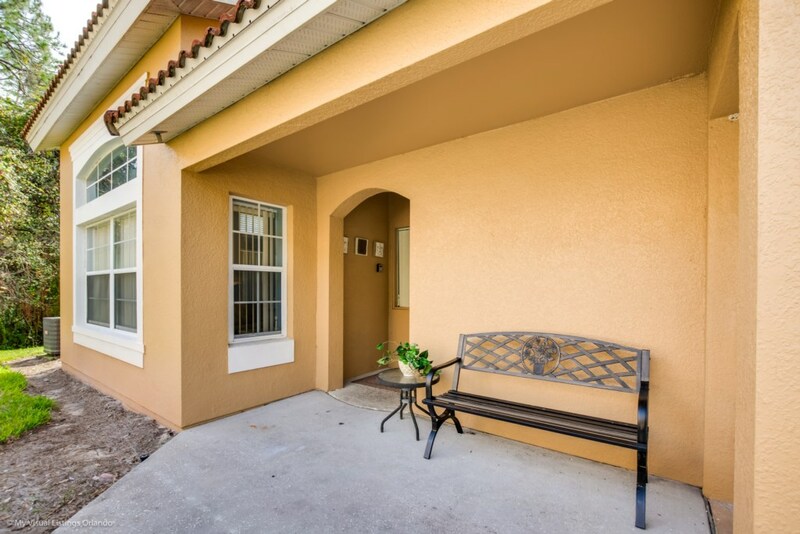 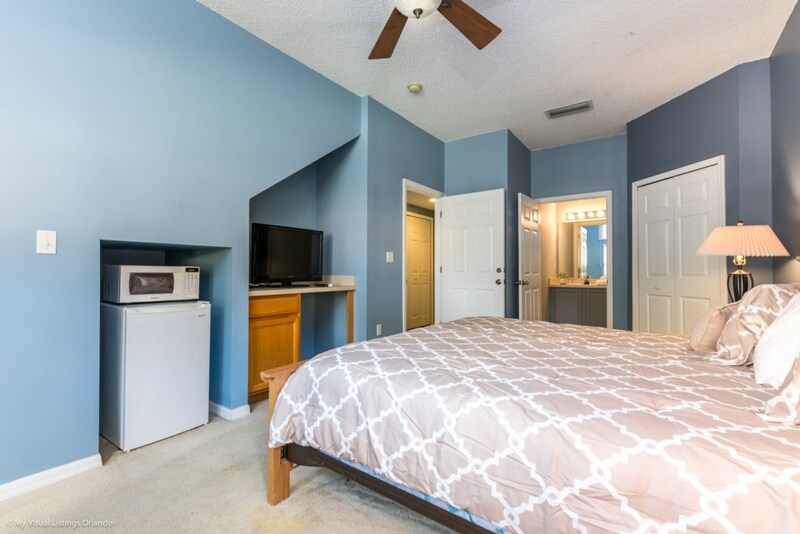 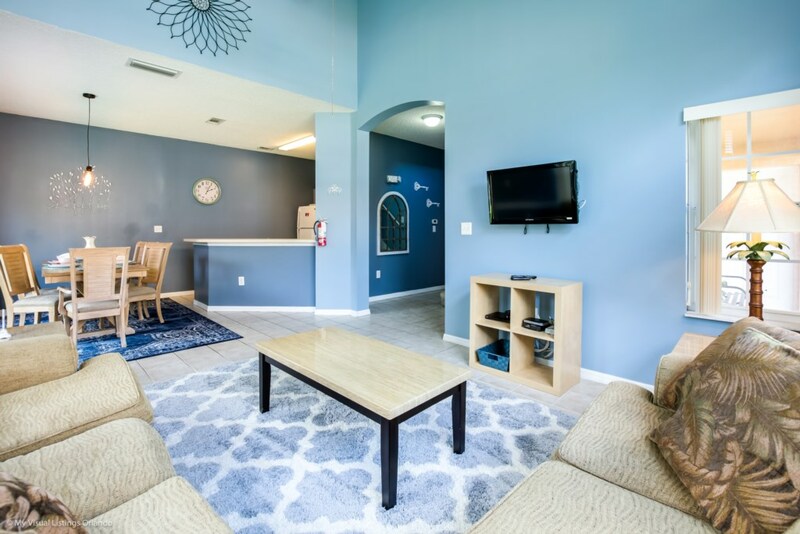 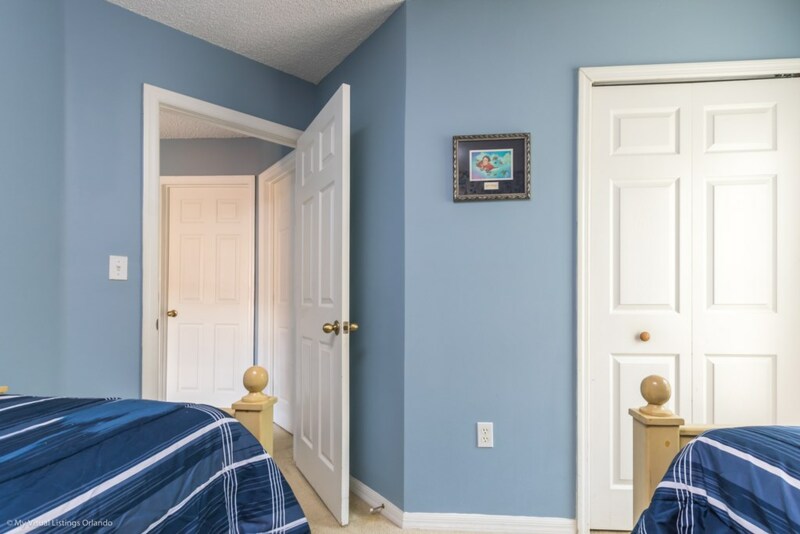 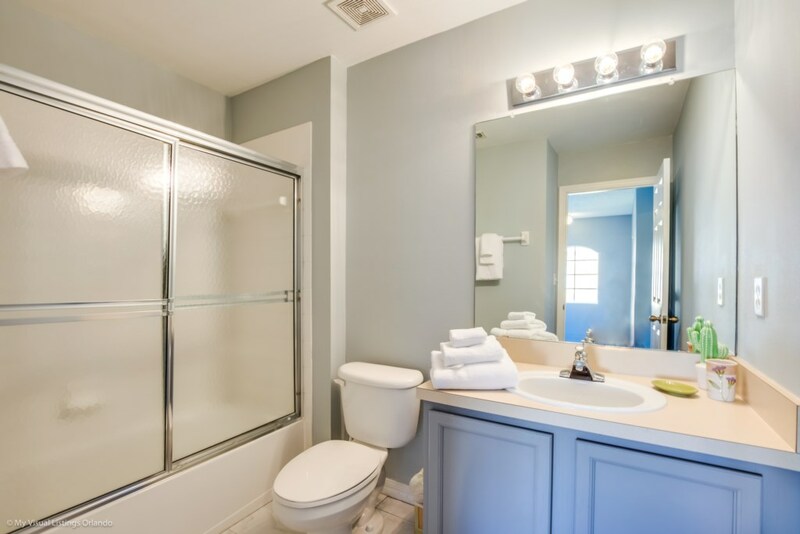 More importantly, the townhome has been renovated from the ground up to provide our guests with a tranquil, quiet retreat to rest and relax while on vacation. 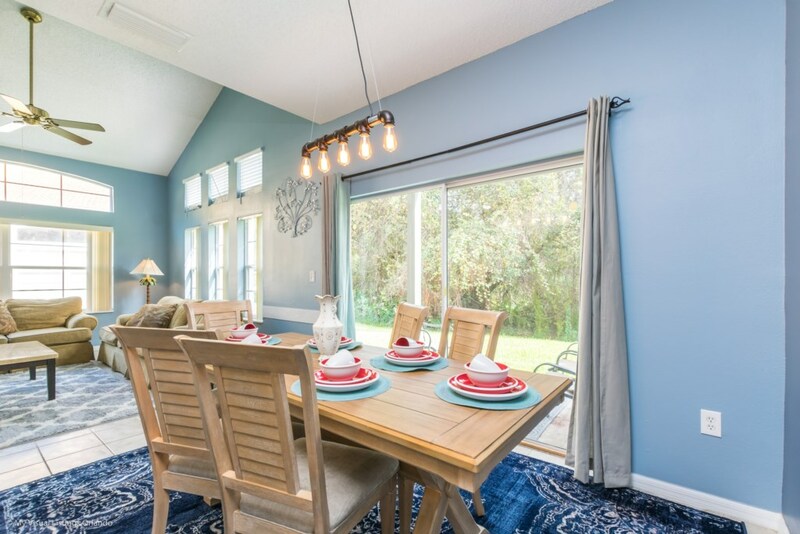 You are invited to experience Kilimanjaro Cottage during your next vacation to Walt Disney World and Central Florida’s other unparalleled vacation attractions.